Panorama rooms is a family run business of tradionally built rooms situated on an mountain ridge, in one of the most beautiful places of Anafi island, in a relaxed and quiet area ready to satisfy your needs. Our rooms consists of 16 fully equipped rooms with spectacular view in the Aegean Sea, which follow the traditional style of Cyclades with blue shutters and whitewashed walls. We also provide free transportation services to all quests to/from port upon arrival and departure. 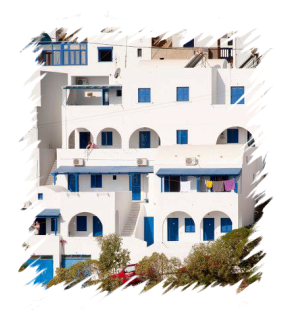 We will be more than happy to make your stay on Anafi island an unforgettable one and enjoy unforgettable relaxing vacations in the Aegean.